A purchase order is a document from a buyer to a seller which explains what the buyer wants to buy in clear and accurate detail. The purchase order acts as a way to clearly communicate a desired purchase. It also works as evidence that two parties want to do business with each other and is the first step in building a documented agreement which will eventually be legally binding via a contract. The purchase order should contain the necessary detail for the product or products in question. This means that one purchase order might not always be sufficient for every purchase – sometimes you’re buying products, other times maybe services. You’ll need to describe these things accurately. Is there a discount being applied? When are you sending this purchase order? When do you want to receive the goods/services? What are the business addresses of the two parties? What are the delivery addresses, if they differ? How can each party be contacted? What is the total amount of money exchanging hands? It’s all the simple stuff which you should already know and have to hand. It’s not complicated, but it’s important to make sure you’ve included all this information. A purchase order workflow is a bigger look at what happens before and after a purchase order is sent. What tasks need to get done in order to send a purchase order? What tasks need to get done once a purchase order has been sent? It’s best to have a standardized flow in place for purchases which your organization makes. This standardized approach can mean that all purchases receive the correct amount of scrutiny, pass off on approval from the right people, and stay within pre-decided budgets. A solid workflow means all necessary checks are undertaken. This template can be fully edited and you can add or remove steps as you please. 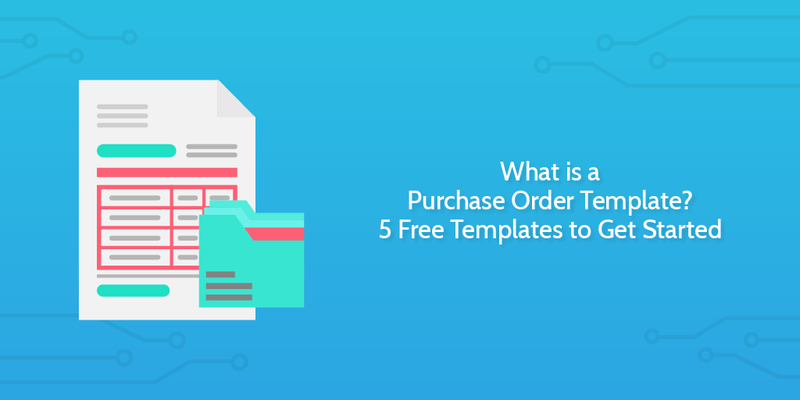 You may notice that the template contains some steps regarding approving a purchase order and some for declining a purchase order. This is because the template is built with what we call conditional logic. This means that when you run this template as a checklist, only certain tasks will show up. Other tasks will be triggered by what is entered into the checklist. For example, tasks 13 to 18 are to be done by the seller. The seller would be invited to participate in those tasks in the checklist. This helps with easy communication and keeps everyone in the loop. If, in task 15, the seller selects that the purchase order has been accepted then the process moves straight to task 19. If the seller selects that it hasn’t been accepted, tasks 16 and 17 show instead, giving the seller the chance to explain why the purchase order was rejected. That purchase order workflow starts when a team or department in the company wants to make a purchase. The flow carries us through deciding on the purchase, gaining approval, developing the purchase order, confirming the purchase with the seller, and then preparing for the arrival of the purchase. It is the whole flow; having it as a documented process ensures that steps are not missed and that everyone who needs to be consulted has been consulted. It helps you develop your purchase order, but it also helps you use and issue your purchase order properly. That’s why it’s so important to have a workflow – particularly, in this case, one where multiple people can collaborate on the checklist for the workflow. It means that everyone is on top of what is happening and you have transparency where transparency is needed. You can find other similar ways you might have a workflow for purchases constructed. This Order Processing Checklist below is pretty much the same thing but from the other side. This is the kind of workflow the seller might have when dealing with purchases and purchase orders. We’ve already linked to them up above, but they’re here for you too. This purchase order template is from Vertex42 and outlines all the basic things you’ll need from a purchase order. Purchase order template in Excel. I think spreadsheets are the best place to deal with purchase orders and much prefer working out of them. However, I’m not much of an Excel guy. I’ve written about Excel tips and tricks in the past, but nowadays you’ll find me in Google Sheets. I just prefer the ease of the GSuite package and prefer the ability to work out of the cloud as default. This template comes from Smartsheet and you can create a copy of it from the following link. Sometimes you don’t want to have to work out of spreadsheets. If you’re more of a word processor kind of person, and love your Microsoft suite, then grabbing a handy template in Microsoft Word could make your life easier. This one comes from Template Lab, and there are a bunch of variations in their collection too. Pick a design that you’d be happy to have represent your company and get purchasing! Purchase order template in Word. Maybe you love your word processors, but aren’t a fan of Microsoft products? Presumably, you’re a Google Docs champion? Well, if you are then we have a template for you too. This one is billed as being an international purchase order, but it can serve purposes domestic or foreign. This one comes to you with thanks to Template.net. Purchase order template in Google Docs. Or, maybe you don’t want to open any kind of program to fiddle with the form? Maybe you’re looking for something you can print straight away and fill in with a pen just like the good old days? Either that or you just love PDFs. I’m not sure. Nonetheless, thanks to the good people at Forms-Templates, your PDF purchase order is here. Now you’ve got some workflow examples and some purchase order templates, it’s worth considering how you can make your system more effective and integrate all these things together. The easiest first step is probably to consider how you plan to store all your purchase orders, along with what you’re going to do with all the similar documents you’re no doubt piling up; invoices, receipts, wage slips, etc. Having all of this information in different spreadsheets is useful. At least you have it. But what’s more useful is having all of this information in a single integrated system – one which can automate a lot of the work for you. Automation can save you time and reduce error rates, so it’s very worth considering. What’s the best way to approach this? Accounting software. We’ll present two options – one paid, one free. Quickbooks does the accounting hard work so you don’t have to. You’ve probably already heard of Quickbooks even if you haven’t used it, given that it’s one of the most popular pieces of accounting software on the market. Quickbooks provides a whole bunch of features and as long as you input the right information, it will give you your reporting. Quickbooks also integrates with Zapier, the third party automation service. 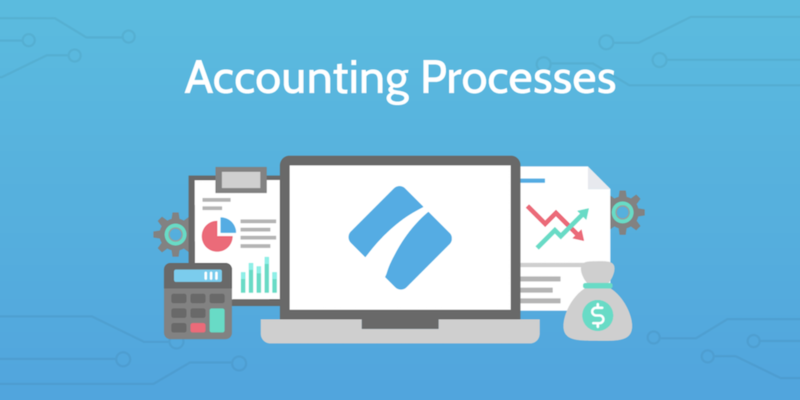 This means you can connect Quickbooks with all the other apps and webapps you already use – like Process Street. At a basic level, Quickbooks allows you to customize and send invoices, track and automatically log your expenses, generate reports, sort out your employee payroll (on all but the cheapest payment plan), see an overview of your taxes, and even invite your accountant to work directly within the program to take even more pressure off you. What really sets QuickBooks aside from its competitors is the far more detailed overviews given on its dashboard. It can make your data easy to understand and act on. Wave is much like Quickbooks in that it can help you track expenses, send invoices, do payroll, and get a good idea of what you might need for taxes. It’s probably a little easier for a beginner too; the platform is less expansive and intimidating than Quickbooks, which seem like a lot to a newbie. Wave doesn’t have all the fancy features of Quickbooks though, and there’s a lot less power behind its reporting. Yet, it keeps itself in contention with the more expensive rivals thanks to having a Zapier integration to help you automate data entry where possible. If you’re just starting out and on a budget, then Wave could be a really good choice. If you’re a more established business, perhaps consider Quickbooks instead. Just to help you out a little more, we’ll give you some more workflow templates to manage your accounting activities. There are lots of aspects of accounting that you can automate but you still need people to play their role. These workflows are designed to help guide those business processes which focus on accounting tasks. How do you manage your purchase orders? Have you made a template you think is better than the ones we included? Comment below to let us know! I’ve heard about the Quickbooks program, but I haven’t worked with it yet. Is it difficult for beginners? I wouldn’t say it was difficult. The best thing to do would be to put some time aside at the beginning to set it all up. That way, you’ll learn how it works and how to make the most of it. With software like that it can be confusing if you don’t take the time at the beginning to learn. The interface is nice though and they have a lot of useful help materials too.